Wings of Kilimanjaro is a once in a lifetime, world record breaking attempt. 200 adventurers from around the world will gather in Tanzania, Africa where they will climb Mt. Kilimanjaro. 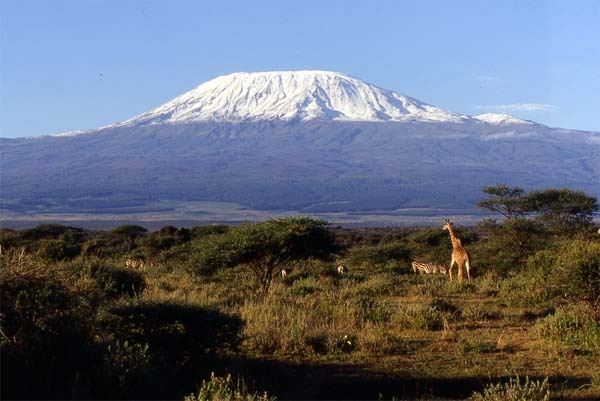 Kilmanjaro is the highest free standing mountain in the world (5895m) and they intend on climbing it over a period of seven days. After summiting they will fly by paragliders from “The Roof of Africa” in an effort to raise $1,000,000 US to be split between three charities: World Serve, The One Foundation and Plants with Purpose (explained at the bottom of the article). Justin Kyllo, owner of Smoke and Bones BBQ, is one of those individuals. In an effort to do his part and contribute to the large sum being raised, he is holding a charity dinner and dance at the Heritage Hall. There will be a live band to get people on the dance floor, a cash bar to quench people’s thirst and a huge BBQ feast to satiate people’s hunger. There will even be a whole roast pig smoked for 18 hours in their competition smoker. I chatted briefly with Justin before the event to get some insight about his connection with Wings of Kilimajaro and his feelings leading up to lift-off. With the commitment you’ve made to the organizations and the cause, how are you feeling just a couple of months before the big day? Is there a way of preparing yourself for such a feat? For bookings and enquiries email Justin at smokeandbones@me.com. Jalapeno Peppers stuffed with Cream Cheese and Pulled Pork, wrapped with Bacon and smoked in the pit. Spring Mix Salad with Fresh Strawberries, Feta Cheese, Caramelized Pecans and a Raspberry Vinaigrette. Plant With Purpose is a Christian, environmental non-profit organization that transforms lives in rural areas worldwide where poverty is caused by deforestation. Focusing on holistic solutions to poverty, Plant With Purpose has been restoring the lives of the rural poor for over 25 years by planting trees, creating economic opportunity through micro-credit and micro-enterprise, implementing sustainable agriculture programs, and encouraging spiritual renewal. The One Foundation will be working to provide sustainable and community led water and sanitation programs in Tanzania in 2013. They will work through local partners to ensure that the most appropriate and lasting solutions are implemented in the communities most in need. As with all of their programs, they ensure that every penny is spent in a transparent and accountable way, that has the greatest resources, skills and infrastructure and deliver upon these needs accordingly. WorldServe International is an organization passionate about building global networks to meet local needs. They excel at providing water and sanitation solutions in developing countries with its own Africa-based water resource development company. Through their innovative Life Center strategy, they are combating poverty by working in 7 key areas of community development: water and sanitation, electrical power, communications and culture, agricultural development, economic empowerment, health care and education.